HomeChiang MaiVisit One of the Seven Wonders of Thailand in Chiang Mai! Head to southwest Chiang Mai for about 100 km. Stop at Phra That Sri Jom Thong Temple, the royal charming temple. Then we go to Ob Luang, which is one of the 7 wonders of Thailand! Come join me, and you'll have a marvelous time! Stop at Wat Phra That Sri Jom Thong Temple outside city, situated southwest of Chiang Mai to make merit & pay respect to the monks. You'll also get to see the beautiful Lanna architecture style! You can also take pictures with the Royal Charming pagoda! Let's have lunch at a local restaurant! You can ask me, your Local Expert, for some recommendations on what to try! Let's make a quick stop at local market to buy local snacks, desserts, local drinks for a nice picnic! Arrive at Ob Luang National Park for a light trekking to see an amazing view, one of the the seven wonders of Thailand. Again, you can take beautiful pictures! Let's spend a few minutes here! Time to drive back to Chiang Mai with wonderful memories! It'll take about 1.5 hours. We should arrive downtown at about 16.30 pm., where it;s time to say good bye ;) Hope you enjoyed my trip! Let's touch the stunning nature with local expert, where world cannot explain. Visit the Royal temple and beautiful pagoda outside city to see how different with the temple in down town! 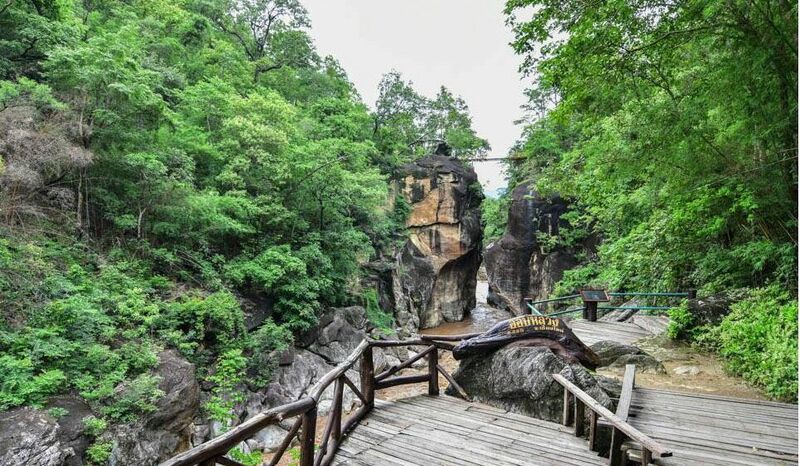 Ob Luang National Park is the wonders charming nature land park ! Who love nature, please come to explore and breathe in the fresh air! Experience locals' lifestyle with food, fruit and locals dialect.